Another anniversary has come and gone. 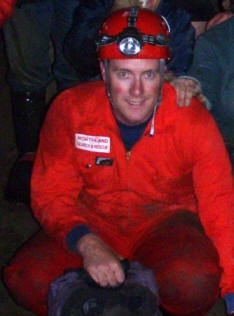 And another great weekend out at Waipu caves for the annual caving trip. The team was made up mostly of Auckland SAR, Northland SAR and a few extras that came along for the weekend. Day 1: This was taken up with some abseiling for those new to the concept of walking off a cliff backwards! There were a few wide eyes as they backed up to the 18m drop but by the afternoon everyone was keen for another go. After dinner everyone had a burst of enthusiasm so it was off to one of the nearby caves known as Schwepps. Navigating Schwepps involves squeezing down a tight passage feet first, dropping down a couple of small vertical shafts before arriving in the main passage. Heading upstream you walk through an enormous chamber with stalactites and other formations high above you. 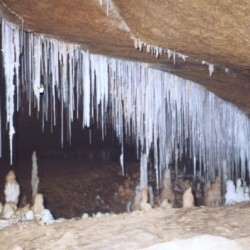 One of the main attractions of this cave is an area known as the ‘mud slide’. This is a steep bank (yup you guessed it, it’s covered in mud) rising up about 30m to a series of delicate stalactites which are in a smaller side passage. 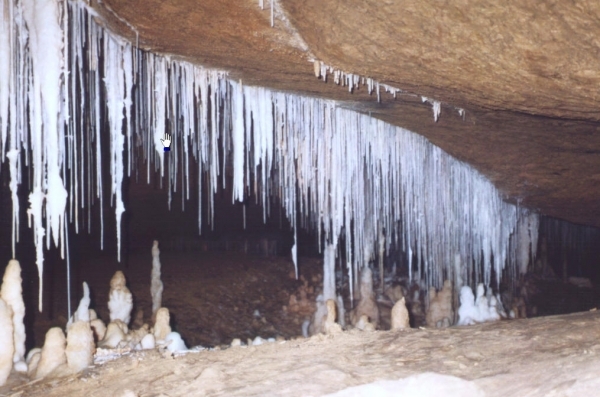 These formations are the most spectacular in the cave as some of them are only the diameter of a single droplet and can take 10’s of thousands of years to form. After a 10 minute battle to grovel your way up the mud slide you have a fun 60sec slide back down to the stream below and back out the way we came in. All this made for a very long but enjoyable day. Day 2: We dragged ourselves out of bed and it was off to another cave. ‘Two Tone’ is the longest cave in the Waipu system and is one of the most popular with cavers (well at least this caver) due to its range of formations and interconnecting passages. This cave involves a few climbs with the help of a couple of rope ladders as well as a number of swims which certainly took our minds off the scorching temperatures outside. 5 hours later we returned to daylight and back to the camp for a well earned feed. Later that afternoon the harness was back on and we were off to another abseil site. This involved dropping down a small hole at the base of a limestone formation onto a steep earth ramp that leads you towards the abyss. At the edge of the ramp I looked down into the darkness and can see the glow of torches around 40m below me on the cave floor. Just as I was dropping off the edge I was introduced to ‘Fluffy’. Fluffy was a rather unhappy opossum that was trying to sleep in a hole in the wall of the cave and didn’t appreciate all these people coming passed. Once I passed Fluffy it was 40m straight down with a nice overhang about halfway down which had me hanging in space until it touched down on the cave floor. After packing up the gear it was onto dinner and sitting under the stars until late. Thanks to all those who help make the weekend come together and we’ll see you next year.